Please join FRANK on Friday, November 2nd at The Well in East Williamsburg, Brooklyn (60 beers on tap, 100 beers in bottles, 10,000 sq ft outdoor space, good vibes). Just like last show, we’ve stacked the lineup with friends and bands we love. We’ve got a great set list planned, including everything we didn’t play from the new record at September’s show as well as a few surprising old tunes and some more special covers. Drinks, merriment and potentially more music to follow into the night. The Well is located here. Hey everyone -First things first, we are happy to announce the release of our 5th album, Who You Are. Recorded (mostly live to tape!) at Room 17 and produced by Frank, Joe Rogers and Jack Moulton, we’re really proud of this one. We’re Spotify people, so we’ve been listening to it here. The first single from the record is Go Out and Fall In Love Tonight, you can hear that one specifically right here. The record is also available on all the other streaming services as well as for download on itunes and CDBaby.We’re celebrating the new record with a big release show with some of our best friends! On Saturday, September 22, Frank will return to our home away from home, Arlene’s Grocery for a career spanning set. 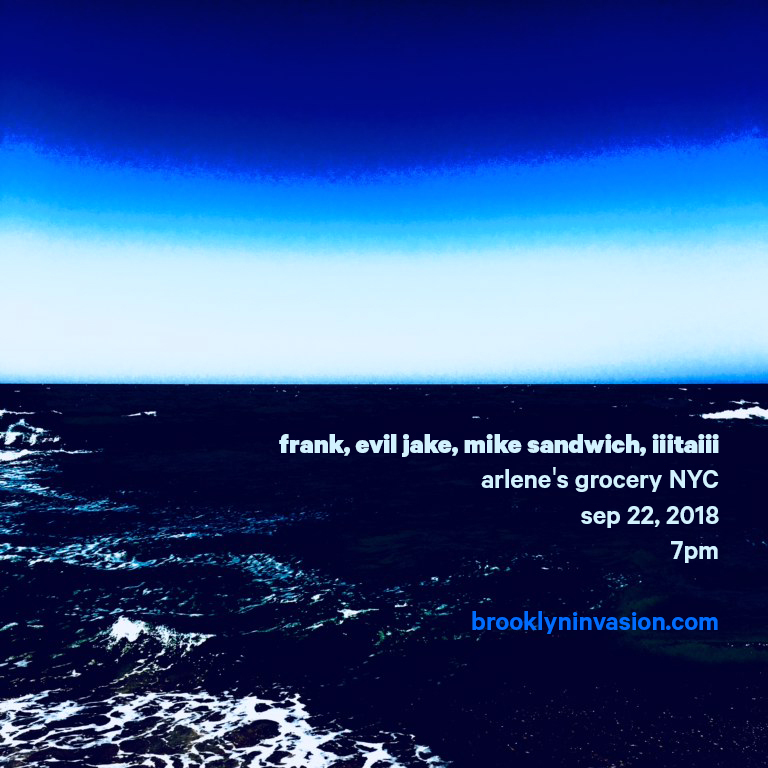 We’ll be joined by our old friends Evil Jake and the recently reunited Mike Sandwich, as well as ITAI, who will be debuting his amazing modular synth work live for the first time. Arlene’s ticket link is here. We are happy to announce the release of our 5th album, Who You Are! Recorded (mostly live to tape!) at Room 17 and produced by Frank, Joe Rogers and Jack Moulton, we’re really proud of this one. We’re Spotify people, so we’ve been listening to it here. The first single from the record is Go Out and Fall In Love Tonight, you can hear that one specifically right here. The record is also available on all the other streaming services as well as for download on itunes and CDBaby. Save the date! 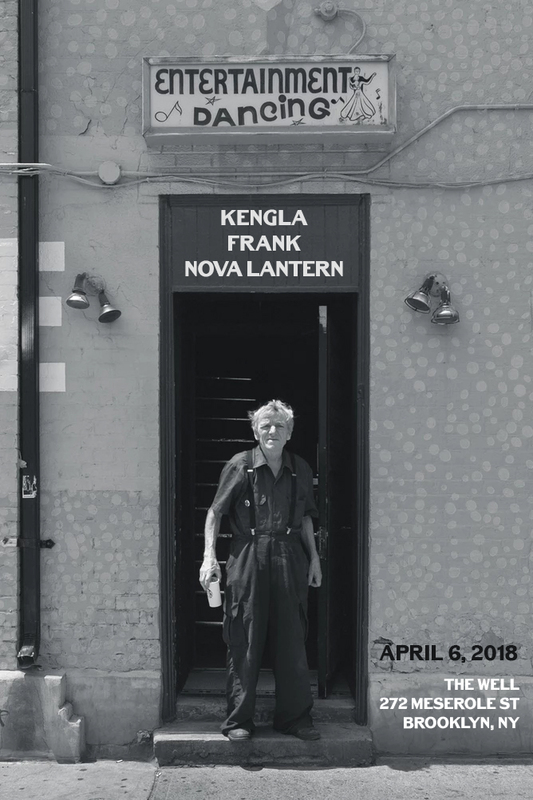 frank returns Friday, 4/6 at The Well in East Williamsburg, Brooklyn (60 beers on tap, 100 beers in bottles, 10,000 sq ft outdoor space, good vibes). We’ll be playing a diverse set ahead of the release of a new record, likely later this year. - Doors open at 7:30, and the night will start with our friends in Nova Lantern. - Frank will take the stage at 8:30PM! - WinterWolf will follow us at 9:30. - Drinks, merriment and potentially more music to follow into the night. - Check in on facebook here. - The Well is located here. This is gonna be a great night, hope to see you there. Here’s FRANK’s most recent record! 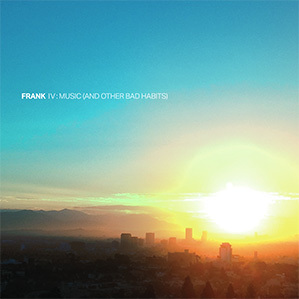 To download our new record, go here: http://www.frankband.com/maobh/. To download the album art, go here: http://bit.ly/1rWk4UB. Many of you have heard of Room 17, Brooklyn’s coolest recording studio, co-owned by Scott Porter of Frank and Joe Rogers of Bombz. On Friday, November 17th, Frank and Bombz will unite at Room 17 for a very special night of independent NYC rock and roll. Special guests will arrive. There are rumors of an all star jam / live car crash. This is one night only, and it will never happen quite this way again. No door charge, free beer (while it lasts – BYOB recommended) and unlimited rock. Room 17 is at 345 Maujer St. in East Williamsburg. Doors at 8PM. Frank at Arlene’s Grocery Saturday 8/19! Save the date! Saturday, 8/19 at Arlene’s Grocery. We’ll be playing an assortment of old favorites, a few rarities, a fun cover and songs from our forthcoming fifth record, which we’re currently mixing at Room 17. Frank will take the stage at 10:30PM! See the event page and check in on facebook here. Frank Live at Room 17 Friday March 10th! Many of you have heard of Room 17, Brooklyn’s greatest recording studio and creative space, co-owned by Scott Porter of Frank and Joe Rogers of Bombz. Some of you have been there and have lived to tell the tale. On Friday, March 10th, Frank and Bombz will unite for a special, RSVP-only night of legendary rock and roll debauchery. No door charge, free beer and unlimited rock. For entry, RSVP on facebook or contact the band or the studio. See you at Room 17! Show starts at 9. Save the date! Friday, 12/23 at Arlene’s Grocery. 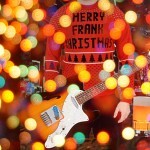 The last show of the year, and a full hour long set from Frank! We’ll be playing an assortment of old favorites and new tunes from our forthcoming fifth record, which we’re currently recording at Room 17. It’s a Friday night, and it’s the night before X-Mas Eve! Come rock out before the family stressfest. Just under a month to go until FRANK plays at Webster Hall with our friends Evil Jake and Controller on Saturday, June 11th! Also, just added to the bill is Spanking Charlene, who will open the night at 6:45PM. A night of rock, benefitting our friends at Organize, which is building the national organ donor registry and saving lives! We’ll be doing live donor registrations! Show starts at 6:45PM sharp, and FRANK will hit the stage at 9:45PM sharp. Webster Hall is located here. FRANK will play at Webster Hall with our friends Evil Jake and Controller on Saturday, June 11th! Show starts at 7PM sharp, and FRANK will hit the stage at 9:45PM sharp.